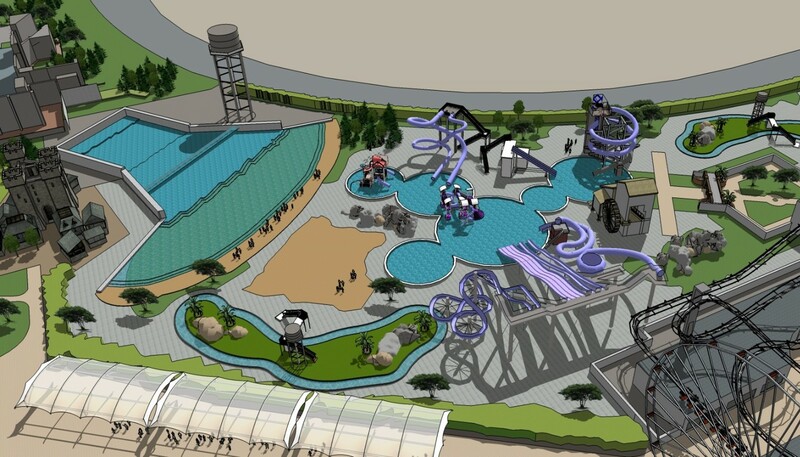 Adventure Entertainment is in the early prototyping of a water park as part of a mixed-use attractions parks. The water park is envisioned to include a wave pool of the scale now operating at Mandalay Bay Resort in Las Vegas, along with “lazy rivers,” water slides, water play areas, and sandy “beach” areas. A snacks and sundries store would operate within the water park venue. Although integrated with the Attractions Park, the water park could be phased and opened on an independent schedule since it would be a destination facility in its own right.